This premium disposable underpad features a diamond-embossed fluff-fill to help control fluid leaks. The additional embossed polypropylene backing controls slipping to reduce the risk of leaks on the patient or the bedding. 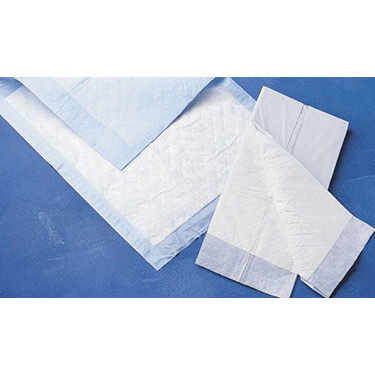 Depending on the size, pads are available in a cases of 300 pads. Works very well along with the top liner booster to stay dry most nights. Great protection for bed sheets and changes. They give very good nighttime protection. Pros:They keep the bed drty at night.